Cam Newton apologized Thursday night in a Twitter video post for sexist comments made to a female reporter. Since the beginning of the NFL season, San Francisco 49ers quarterback Colin Kaepernick has knelt during the national anthem in protest against racial inequality. 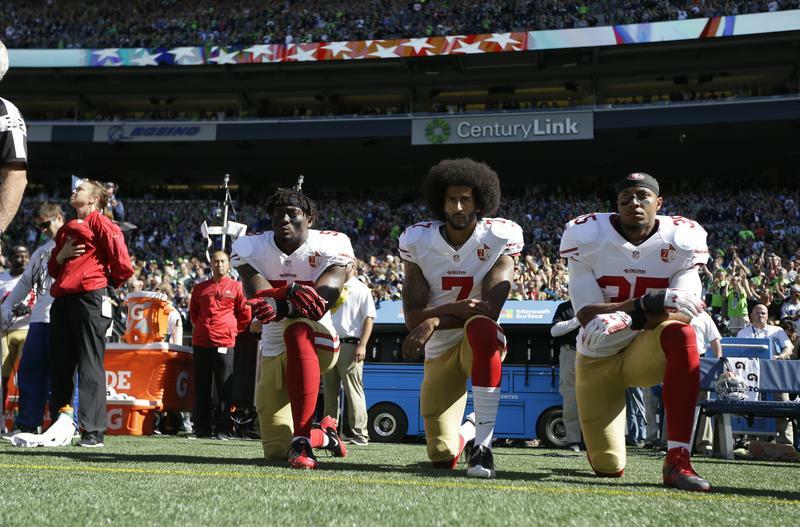 Dozens of athletes have followed in Kaepernick's footsteps. Meanwhile, protests erupted in Charlotte last week after police fatally shot a black man. Against this backdrop, new television shows like "Queen Sugar" and "Greenleaf" unpack narratives about contemporary black life. 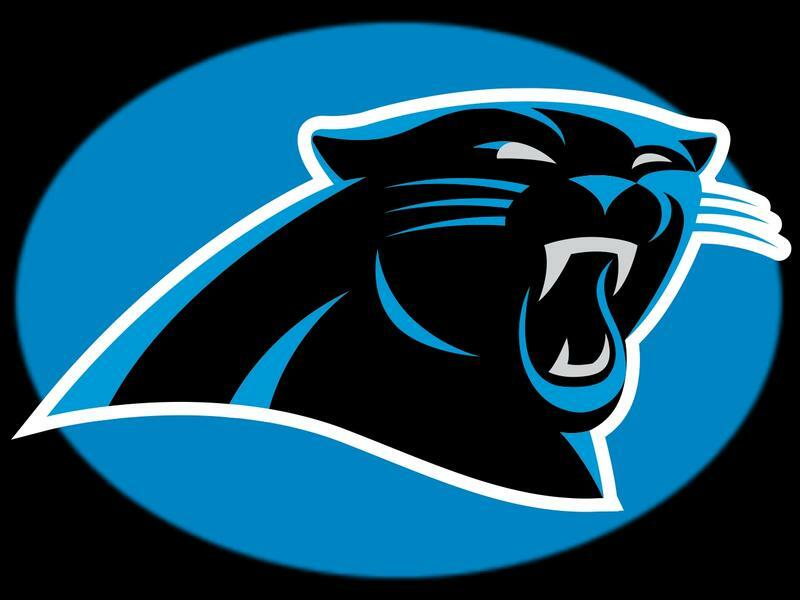 The Carolina Panthers claimed the NFC South with a 41-38 victory over the New Orleans Saints yesterday. GOP presidential hopeful Donald Trump continues to make headlines with controversial statements about women and immigrants. Reports of an endorsement by 100 black leaders were quickly refuted by the group. They refused to endorse Trump earlier this week. As the presidential race presses on, protests during Black Friday and on college campuses further dialogue about race relations and police brutality. And an African-American NFL quarterback is criticized for his end zone celebrations. In the NFL, the Carolina Panthers beat the Tennessee Titans 27-10 yesterday. Now, they remain the National Football Conference's only unbeaten team. The Carolina Panthers are unbeaten after rallying in the fourth quarter yesterday. They defeated the Seattle Seahawks, 27-23. 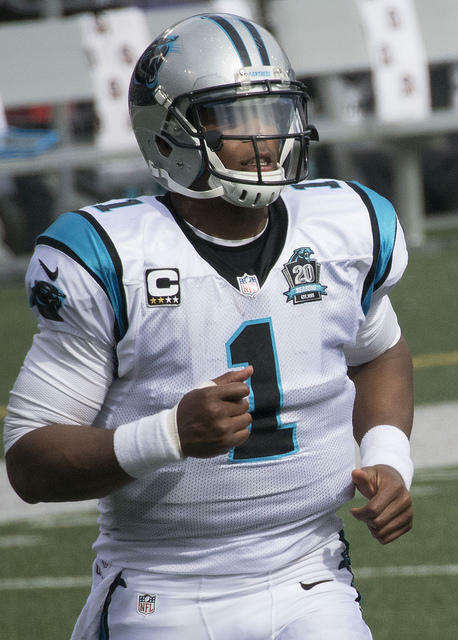 Quarterback Cam Newton led the Panthers on a pair of 80-yard touchdown drives in the final period. He threw a 26-yard touchdown pass to Greg Olsen with 32 seconds left. Panthers Coach Ron Rivera said Newton's performance was stellar. "He was phenomenal. He did the things he needed to do. He threw some really good balls. Delivered a very catchable ball on several occasions," said Rivera. "The guys made some really great plays, too." The Carolina Panthers defeated the New Orleans Saints 27-to-22 on Sunday. Panthers Quarterback Cam Newton threw for 315 yards and a pair of touchdowns. He also ran for a 13-yard touchdown. 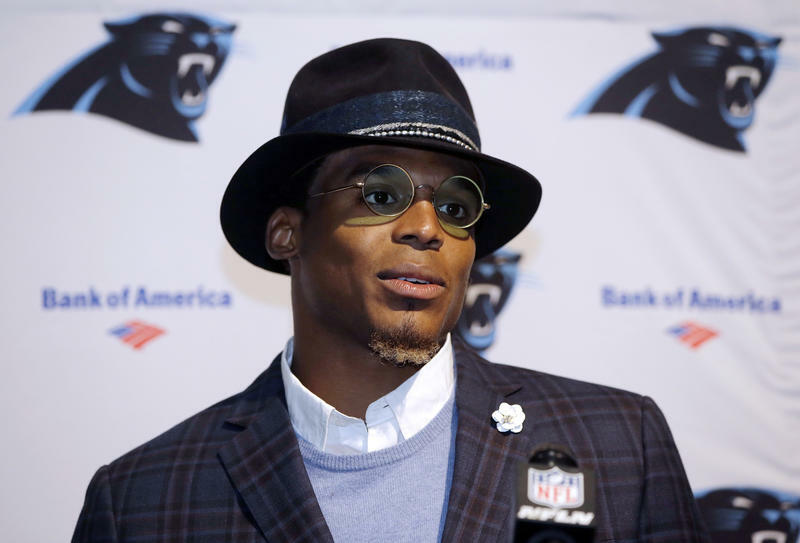 Newton praised Carolina's offense. 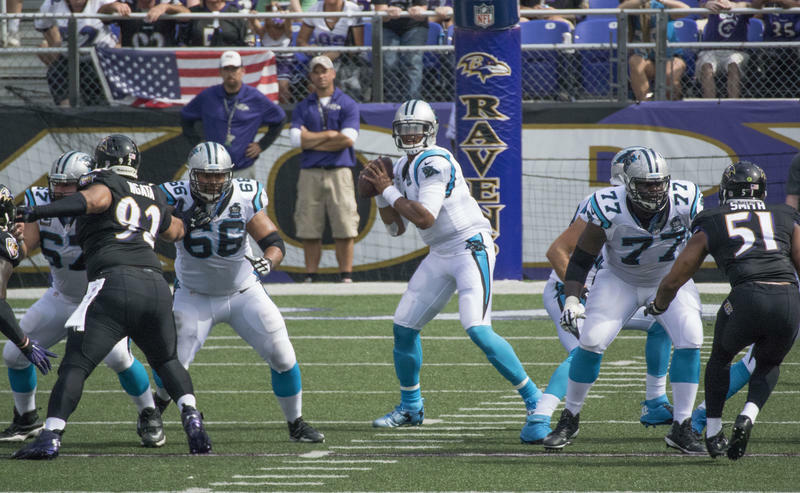 "The success of the pass game was pretty much dictated by the offensive line," Newton said. "Those guys, they really controlled the ball up front. They gave me a lot of time to scan the field and make sure than I can throw an accurate pass." Quarterback Cam Newton led Carolina Panthers to a 24-17 home win over the Houston Texans yesterday. The fifth-year Panthers starter threw for 195 yards and two touchdowns. On the ground he rushed for another 76 and produced highlight-reel, somersaulting score. "My heart was in my socks," Newton said. 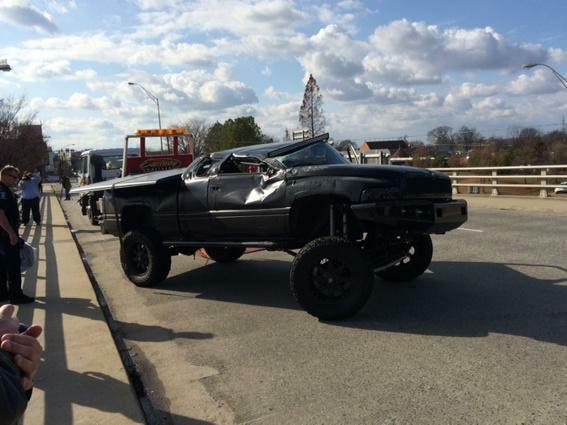 "As I was flipping I was like, 'Hey, I don't know how this is gonna end.' And then I'm coming down I said, 'Hey, I can stick this.' I didn't stick it, but I think I still got a good high rating by the judge." 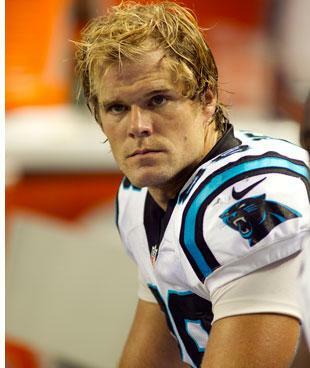 In NFL action, it was a big night for Carolina Panthers tight end Greg Olsen. He had been traded by the Chicago Bears in 2011, and he made them pay for it yesterday. Olsen caught a pair of touchdown passes, as Carolina came back from a two-touchdown deficit. They won 31-to-24 over the Bears. Olsen said he didn't play out of spite, but the victory did help ease the pain of the Panthers' last two losses. In their NFL season opener yesterday, the Carolina Panthers swabbed the deck with the Tampa Bay Buccaneers. Panthers Quarterback Derek Anderson threw for 230 yards and two touchdowns. 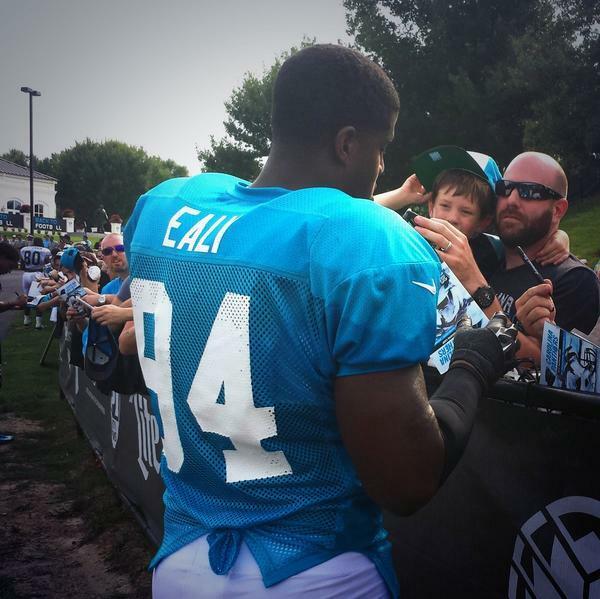 He was standing in for Cam Newton, who was benched with a pre-season rib injury. But the 20-to-14 victory didn't come easy. The Panthers shut Tampa out for the first three quarters. But when Coach Ron Rivera addressed his team in the locker room after the game, he scolded them for letting the Bucs sneak in two late touchdowns.